Even if you are only remotely interested in aromatherapy, you will most likely have heard some of the wonderful things that Lavender essential oil can do for our health and wellbeing. 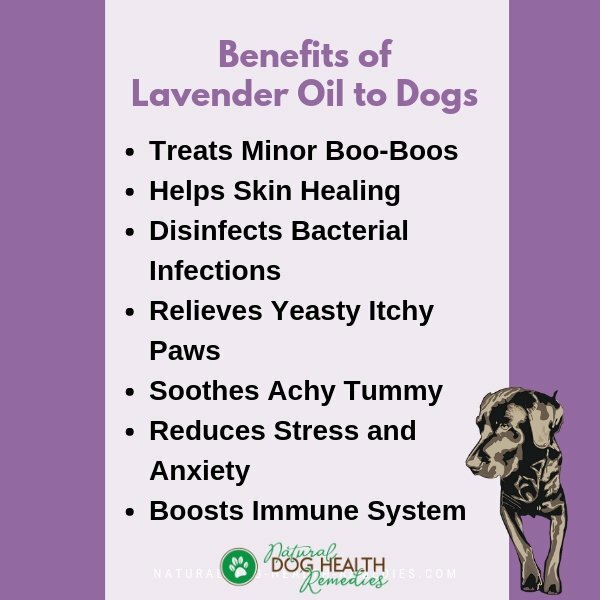 Many dog parents also want to use Lavender oil on their dogs! Can you use Lavender oil on dogs? 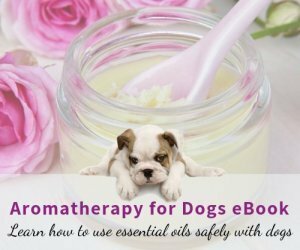 How do you apply Lavender oil to dogs? 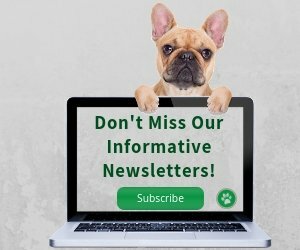 What are some lavender oil benefits to dogs? I decided to write this article in order to answer these questions. To answer this question, I need to know which Lavender oil you are referring to. Lavadin is a cross between Spike and True Lavender, and is usually considered a lower quality type of lavender oil. I don't use this oil myself and don't recommend using Lavadin on dogs. True Lavender and Spike Lavender both have great but different therapeutic properties, due to their very different chemical profiles. For example, while True Lavender is calming and relaxing, Spike Lavender is stimulating, so if you want to relax and have a good night sleep, using Spike Lavender at night is not a good idea! Also, Spike Lavender contains camphor, so avoid using this oil on or around pregnant dogs, as well as dogs who are epileptic as it may trigger seizures. Due to its chemical profile, Spike Lavender is not recommended for use with children under 10 years old. To be on the safe side, I personally would not use Spike Lavender with dogs at all either. So... my recommendation is, use only True Lavender (Lavandula angustifolia) with dogs. From now on, when I mention "Lavender oil", I refer to Lavandula angustifolia essential oil. 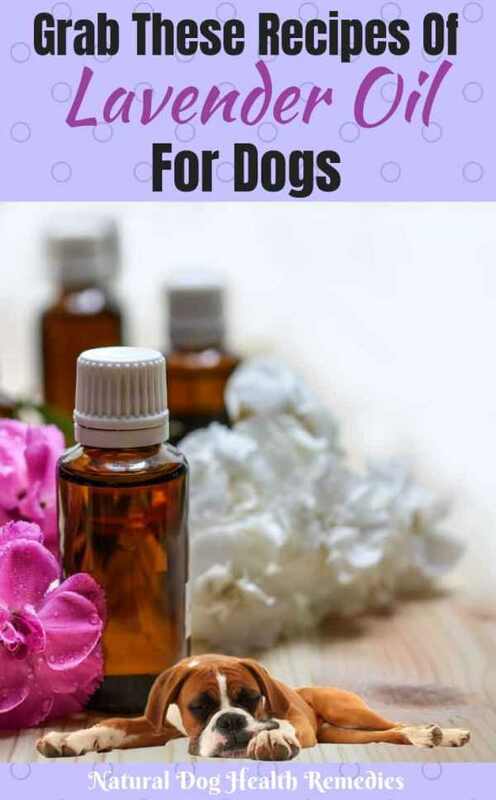 Lavender oil is very gentle, extremely versatile, and has quite a few therapeutic properties, making it a "must-have" oil not only for people, but also for dogs! Antibacterial: Lavender essential oil has powerful antibacterial properties, especially when combined with other oils with similar properties, such as Geranium, Tea Tree, Thyme ct. linalol. Antifungal: Lavender essential oil also has great antifungal properties. It works effectively against Candida. Anti-inflammatory: The strong anti-inflammatory properties of Lavender makes it a good oil for joint and muscle pain caused by inflammation. Antispasmodic: Lavender is good for muscle spasms or tummy pain because of its antispasmodic action. Skin Healing: The skin healing power of Lavender oil has been widely documented. It is a wonderful oil to use for minor burns, cut wounds, itching, as well as irritations and infections of the skin. Pain Relieving: Studies have found that the main chemical component of Lavender oil (linalol) has powerful analgesic (pain relief) properties. Calming: The relaxing and calming effects of Lavender oil are well known and well documented as well. It can be used topically or by inhalation to relieve stress, reduce anxiety, and help with sleep. 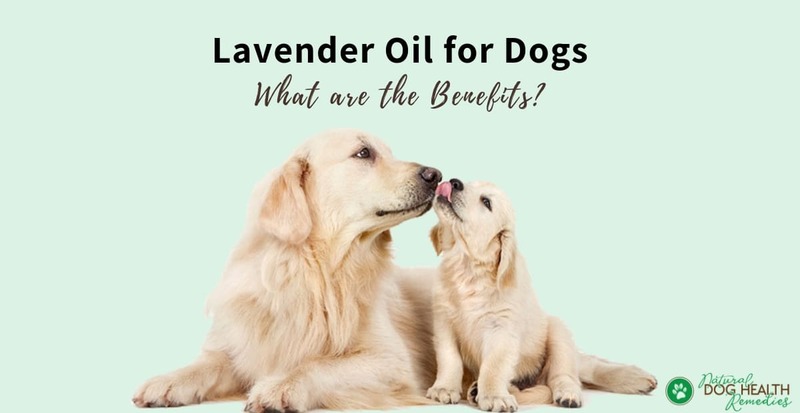 Now that we know the therapeutic properties of Lavender oil, let's see how we can harness these properties and use the oil to enhance our dogs' health and wellbeing. Help Skin Healing: Lavender oil, especially if used with Helichrysum essential oil, can help heal cut wounds beautifully. It helps reduce the appearance of scars. If your dog has recently had surgery, use the recipe below to help his skin heal faster. Disinfect Bacterial Infections: If your dog has a minor skin infection, use Lavender oil to disinfect the area. Simply add a drop of Lavender oil to a tablespoon of Witch Hazel. Soak a cotton ball with the Witch Hazel mix and use it to disinfect the affected area. Soothe Yeasty Itchy Paws: Lavender oil, being anti-fungal and anti-bacterial, is effective in helping your dog get rid of his yeasty itchy (and maybe stinky) paws! For synergy, use Lavender oil together with Geranium oil and Thyme ct. linalol oil in a foot soak. Setting up a foot soak is easy. Use a plastic container (anything big enough to allow you to put your dog's foot in - one at a time) and fill it with just enough water to cover your dog's paws. Add 2-3 drops Lavender oil, 2 drops Geraniumm oil, and 1 drop Thyme ct. linalol oil to the water. Mix well. Dunk your dog's foot in, one at a time, and let it soak for 3-5 minutes/foot. After that, use a clean towel to dry the paws. Soothe Achy Tummy: Remember I said above Lavender oil has antispasmodic properties? If your dog has tummy ache (e.g. colic), try to make a warm compress to help reduce the pain. Dip a wash towel in some warm water, wring dry, and add a drop or two of Lavender oil to the towel. Use it to compress your dog's tummy. 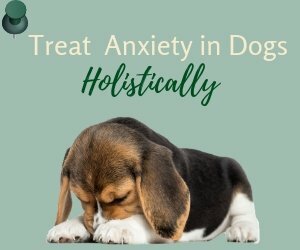 Reduce Stress and Anxiety: If you have been using Lavender oil to reduce your stress and anxiety, you will be happy to know that it works for dogs too! I have written a post on how to use Lavender and other safe oils to help dogs with anxiety on my Old Dog Blog. Boost the Immune System: Lavender's anti-inflammatory activity, together with its broad antimicrobial actions and stress-relieving effects, makes it a great oil to give the immune system a big boost. To help enhance your dog's immunity, use Lavender oil in a diffuser. Add the aloe vera gel and essential oils to a 30 ml PET flip-top bottle. Shake the blend gently before each use. Use this recipe to help soothe bug bites and stings on your dog. Just dab a bit of the gel on the site 2-3 times a day until the irritation is gone. Since there is no preservative in this recipe, make a fresh batch every 2-3 weeks. Store it in a refrigerator to keep it fresh. In a dark glass bottle, add the aloe vera and the essential oils. Cleanse the wound first, and then gently apply the blend to the cut or scrape. *Trauma oil is an infusion of three herbs: Arnica, St. John's wort, and Calendula. It has skin nourishing, pain relieving, and anti-inflammatory properties. Add the trauma oil and essential oils to a 30ml dark glass bottle. Apply to the scar and the surrounding area 2-3 times a day. Lavender oil is an extremely gentle essential oil that can be safely used even on children and dogs. However, having said that, I need to stress that all dogs are individual beings and they react differently to even the same oil. While Lavender is generally considered a safe oil to use on dogs, you still need to take the necessary precautions (e.g. patch test, dilute the oil if used topically, etc.). 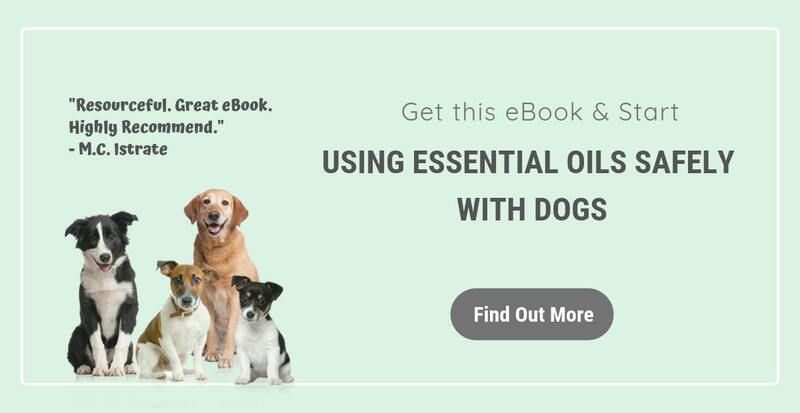 Read this page for more general information on how to use essential oils safely with dogs.